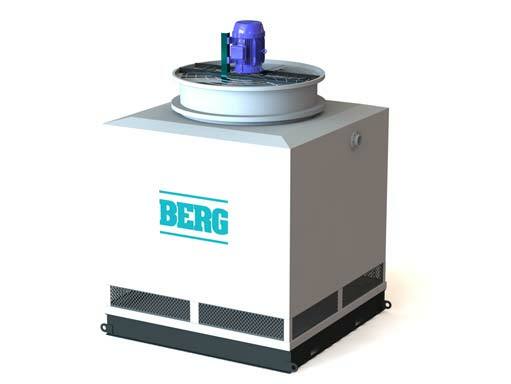 Berg offers complete flexibility in industrial pumping assembly designs from dimensions to capacity for any application. Reservoirs are available in mild steel, stainless steel, plastic all mounted on a structural steel base with banding for additional long term structural support. 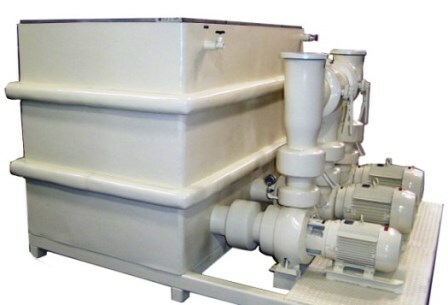 Single pump systems to multiple pumps complete with a magnitude of options such as headers, detached pumping skids for ease of shipment and installation. The chiller pump (usually the smaller one) circulates water / glycol from the hot side of the tank to the chiller module(s) and back to the cold side of the tank. 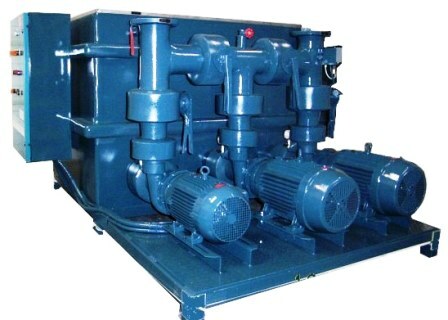 This pump ensures constant flow and pressure required by the chiller(s) for maximum efficiency, as well as less chance of freeze-up due to the low flow condition. 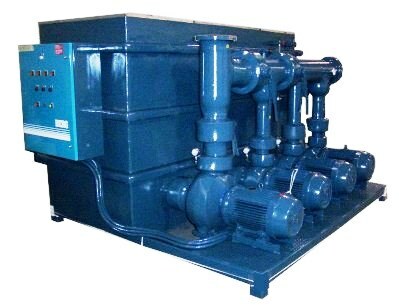 The process pump (usually the larger one) circulates the chilled water from the cold side of the tank to the process machines and other users. This pump is designed to match both flow and pressure required by the varying process load without affecting the chiller operation. Tank and surrounding pipe are insulated in high grade insulation material for many years of durability and energy conservation or efficiency losses. Flow Rates from 50 to 8000 gpm or More! All pump starters are panel mounted on the side of tank or remote panel and are pre-wired to the pump motors. Starters can be controlled with manual Stop / Start switches and indicator lights or HMI ( Human Machine Interface ) type Logic Controller. Motor circuits are protected with premium quality overload protection.